With low gilt yields forcing schemes to pile into bricks and mortar, Mark Dunne asks if the reward is worth the risk. It has long been said that an Englishman’s home is his castle; but these days it could be his pension too. The office where he works, the shop where he buys his groceries or the warehouse that sends him the latest bestseller to read on his early morning commute could also be funding his retirement. With the yield on 10-year UK government debt hovering around 1% in recent years, several retirement funds have turned to bricks and mortar to help pay their members’ benefits. Yields range from 3.25% on offices in London’s West End to 5.25% on retail warehousing at the side of motorways, according to estate agent Savills. So it is easy to understand why institutions have been lured to these assets in a low return environment. Another reason is risk. Pension schemes have been forced to stomach more risk to generate much needed cash, but the longer-term returns offered by real estate are, on average, considered to be within reasonable risk parameters compared to equities. She does, however, admit that this approach has been built partly out of necessity. “The strategy also reflects the need to look at alternative asset classes in light of lower bond rates,” Rule adds. 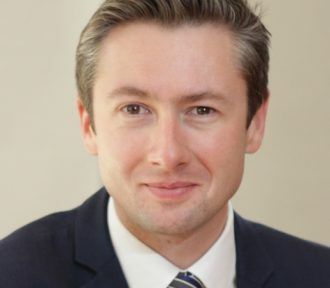 Richard Tomlinson, who looks after real estate for LPP, says property is seen as an important part of these retirement schemes’ investment strategies. “Both schemes are maturing and the strategy is towards cash income and property is seen as a good source of that,” he adds. from scratch. Indeed, the London Borough of Southwark Pension Fund had a 10% allocation to property in 2005; but today it is close to 20%. The rising cost of investing in real estate is not expected to ease anytime soon. Many of the schemes portfolio institutional spoke to about their property strategies are yet to achieve their allocation target. Lancashire has 11% of its assets invested in property, just short of its 15% target, while Railpen has a 12% weighting to the asset class, below its 15% goal. LPFA has work to do to close the gap between the 7.5% current allocation and its 10% target. Southwark’s retirement scheme, which is worth more than £1.5bn, has a 20% allocation, or around £300m, which is invested in supermarkets, restaurants, offices and warehouses. “This is not a get in and get out strategy,” says Duncan Whitfield, Southwark’s strategic director of finance and governance. “This is get in, grow the capital and get the revenue returns,” he adds. Property is core to Southwark Council’s retirement scheme strategy for good reason. “Bricks and mortar in the hands of astute managers has a great record of holding value,” Whitfield says. 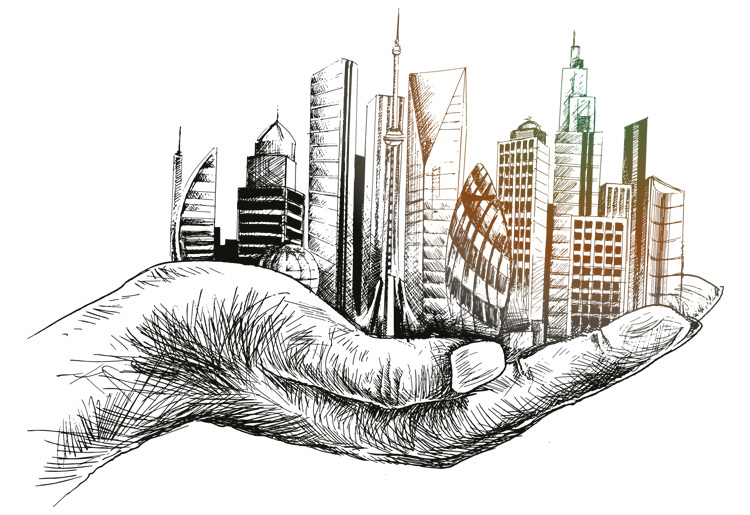 “It doesn’t necessarily matter if it is in the middle of a city, if it is commercial, retail or housing; there is significant evidence of the certainty of value and return on property. He appears more than happy to leave it to the managers, which is an attitude that he has developed during the past decade. Southwark’s managers started buying distribution hubs by motorways in 2008. However, another scheme has moved in the other direction when it comes to making investment decisions in this space. He appears more than happy to leave it to the managers, which is an attitude that he has developed during the past decade. Southwark’s managers started buying distribution hubs by motorways in 2008. However, another scheme has moved in the other direction when it comes to making investment decisions in this space. team of experts and soon set to work building the processes and procedures to end the scheme’s reliance on third-party managers. LPFA’s strategy has also changed. It now has a national portfolio of directly acquired properties, which has reduced its reliance on pooled funds. The downside to moving to an almost exclusively direct property portfolio is the expense. Indeed, Southwark’s property management fees doubled to £694,000 in the 12 months to the end of March 2017. “Direct property is more expensive than pooled investing, but performance is net of fees,” an upbeat Whitfield says. Tomlinson describes property fund fees as “pretty competitive” when compared to those charged for infrastructure and private equity pooled investments. “Depending on the type of manager, the fees can be competitive,” he says. In the property market, housing was once seen as something of a final frontier among professional investors. Unlike its commercial counterparts, residential has traditionally not been considered an institutional asset. The issue has been a lack of scale, a barrier that institutions are removing. RPMI Railpen has around £200m invested in housing built for the rental market. The scheme will not touch a scheme unless it has at least 100 units. It owns five assets in this market and, once they are all open for business, they should have about 1,000 beds. “Residential is an area where there is a strong income stream,” Rule says. She describes it as a burgeoning asset class that is a good hedge against inflation. LCPF kicked off its debut foray into housing by part-funding a 119-apartment building in Hayes, West London four years ago, while LPFA is building rental units at Pontoon Dock by the Thames Barrier. Another institution benefiting from putting a roof over peoples’ heads is the London Borough of Islington Pension Fund. Islington’s now former pensions chief, Richard Greening, told portfolio institutional before his retirement that residential is becoming a popular investment. “I’m pleased that we have started investing in residential property,” he says. “There is such a huge need for that in London and in the UK. Islington’s retirement fund has joined the London Pension Collective Investment Vehicle (London CIV) and Greening hopes that it will be taking residential investment “more seriously”. But real estate is not just about housing, offices, warehouses and shops. More alternative properties are emerging as pension scheme’s chase higher yielding assets. Railpen, for example, has student housing in its portfolio. 4.25% in London in the direct let market to 6.5% in secondary markets in the regions. Despite the clear benefits long-term investors can receive from investing in property, it has been far from a smooth ride. Whitfield describes the scheme’s property strategy as a “journey of ups and downs and peaks and troughs”. provided us with that steady platform that supports the rest of the fund,” Whitfield says. There is also the benefit of the natural caution that valuers tend to have on property fund valuations. “They tend to be extremely prudent, so when you come to sell you are automatically getting a little bit of value over that,” Whitfield says. Value is a big part of the management of these assets. RPMI Railpen’s core investment themes include affordability, creativity and connectivity. It looks for assets and projects in areas of strong occupational demand, selects the right stock and then creates value. This typically involves lease extensions, extending the assets, refurbishment or a change of use. “In a relatively low return environment it is key that asset management drives performance,” Rule says, who believes that sustainability is a big part of managing her portfolio. “It is not just about delivering attractive risk-adjusted returns for our members; I am keen on investing in strong economic assets in the areas where we invest. That is a big point for me, i.e. making things better for the future generations,” Rule says. Whatever purpose it serves and wherever it might be located, property is becoming a mainstream pension fund asset. “From what I have seen in Lancashire and London, property, infrastructure and the like are well established parts of the investment landscape these days,” Tomlinson says. 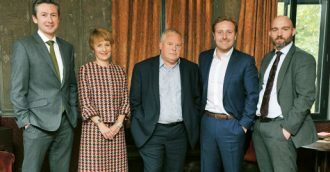 Whitfield concludes that property has underpinned his scheme’s investment strategy for almost 15 years and that long-term investors with a need to generate regular cash-flows could be missing out if they are not exposed to bricks and mortar. “I would invite others to have a much closer look at and see if their property exposure is as extensive as it might be,” he adds.